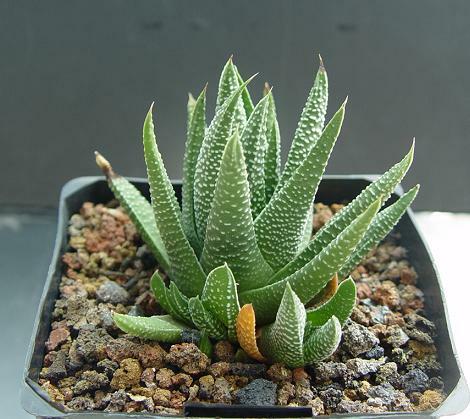 Data: (KA195) "A slender, grey-green-leaved haworthia with yellowish petals. Some variation is apparent in the clones we offer; in some the leaves are light green with white tubercles in others dark green with some greenish tubercles. Rooted offsets of plants collected W.of Swellendam, near Drew, Cape Provance, SA, March 1985"